Lexus will show a much-anticipated concept droptop version of its recently introduced LC luxury coupe at next week’s Detroit auto show. 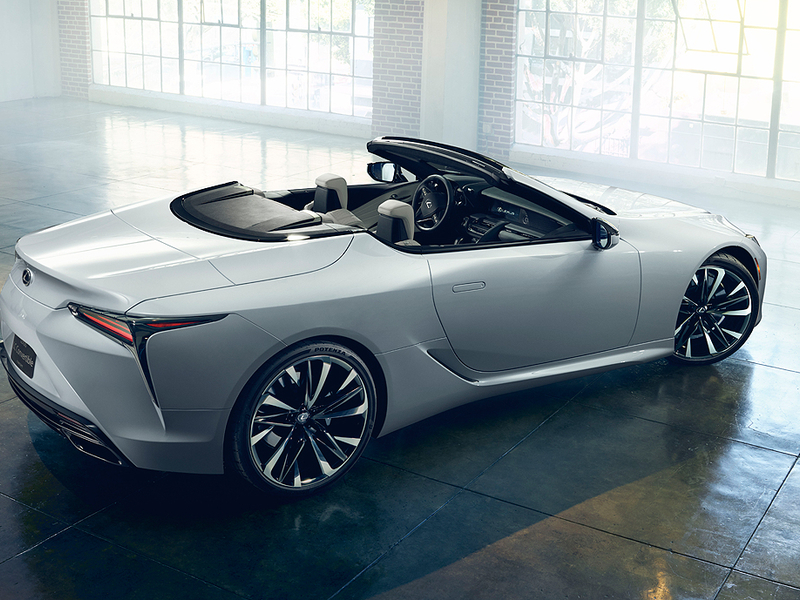 The Lexus LC convertible concept shares most of the properties of the LC coupe that went on sale in mid-2017 but is about a half-inch longer. If, as expected, the convertible makes it into production, it would give Lexus dealers a direct competitor for other high-performance ragtops in the LC’s segment, such as the BMW 6 series and Mercedes SL and S-class coupe. It would also be the first production convertible for Lexus since dropped sales of the IS C hardtop in 2015. Lexus sold 1,979 LCs in the U.S. in 2018, down 20 percent from the previous year.